I guess my question is...is there any major differences between Rockman 1 and this version? Like how there's minor differences between Castlevania and Vs. Castlevania? I'm sure it has a high collectivity for...uh...collectors, but does it have any real value to data miners like myself and such? 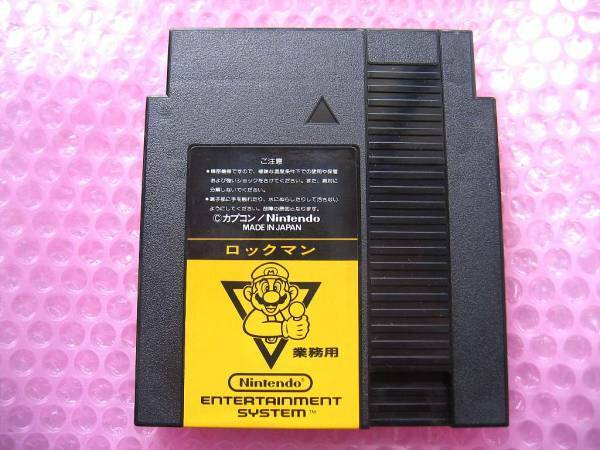 Well, I'm not sure if the game itself is any different from the one we know and love, BUT, if I'm not mistaken, some Famicom Box games were programed to have a time limit: in order to keep on playing, you'd have to pay. In other words, this version of the game might have a timer of sorts. 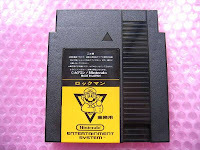 So, in other words, this is pretty much the Mega Man equivalent of the Donkey Kong Country Competition cartridge? Ah, okay. Cool. Sounds interesting. I'd love to get ahold of something like that, but unfortunately, I don't have the money. I guess I'll have to wait and see whether or not someone decides to dump the ROM sometime in the future. This game just remembered me my first computer oops second one. I used to play that on it. It will be a nice experience but my question is again same. Is it have difference from the PC game.